I am feeling like a throw away right now. I just feel awful. All my life I have surrounded myself with a big groups of friends that helped me feel part of something, that helped me forget the feeling that I was someone who was very easy to forget about or write off. I now find myself losing this group and I feel like I have been exiled in a way and it brings up memories of my father leaving when I was a child... Definitely related feeling... All stirring up a karmic blockage, I suppose. Funny tonight I received an invitation from an even older tribe of mine and i noticed my first reaction was "how am I going to be in that? How can I be me in that?" And I instantly didn't want to go. So I am contemplating now how much I am the one who is rejecting those in my life. I can see that discernment has played a role in what's unfolded naturally in my most recent group of friends, but perhaps that is tinged with rejection or judgement as well... I think this situation is showing me a couple things...one, where I am perhaps rejecting first to avoid being rejected as a result of being authentic and two, where I am deriving a sense of being valued from being part of a group. I am also taking stock of all the people I have closed off from because I was sure they would reject some aspect of me. Lots to see here and realizing of course all the beautiful people in my life - how can I be more of me with them... Give more of me. 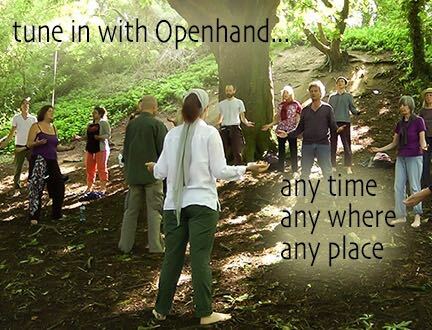 Thanks for listening openhanders! It really helps to not ignore the feelings when I write about it here. It's something I know lots go through - I think this 'connection to a tribe' causes people to form relationships that don't really serve us at the core of who we are. But then we just paper over the cracks, ignoring the true indicators. Yes, when you start being real - authentic in every moment - many people from the old life will fall away. Authentic beingness, in itself, creates reality (when we allow it to). It's also quite synchronistic and fascinating that you then received an invitation from 'an even older tribe'. I'd say this is pointing you back to your real tribe, which is ancient. It will be your soul family. When we incarnate, by the Law of Attraction, we draw to ourselves situations to help reveal distortions and karma. In the breaking down of these, then the true light of the soul emerges. So in the beginning of an incarnation, we will draw people that suit more the distortions - which is why we tend to create false life-styles. Although there will also likely be some members of soul family in there too. I'd say there's an invitation now to connect inwards, through the field, to a sense of home which is 'through the ether'. That said, when you let go of those that no longer serve, the energy you free up, will draw others - physically - who are closer to your vibration. So it all feels pretty positive to me - especially as we're moving into a New Year.... 'something old, something new, something borrowed, something blue'. I soooo know that feeling and empathise greatly. It can seem a lonely road and it can seem that way for a heck of a long time. Some fortitude is required, and maybe some recognition of what the benefits are may help. I found spending time in nature (maybe just sitting and hearing the birds sing, or watching the stars (if you can see them where you live?) And my favourite, a candlelit bath listening to angelic music. Finding gentleness and beauty to tune into to nurture oneself is really important as you find your way through some awkward situations and maybe some raw emotions. I relate to what you are going through. As Open says, many of us go through this. This awareness might help you to feel less alone in what you're experiencing. It certainly helps me in that regard. 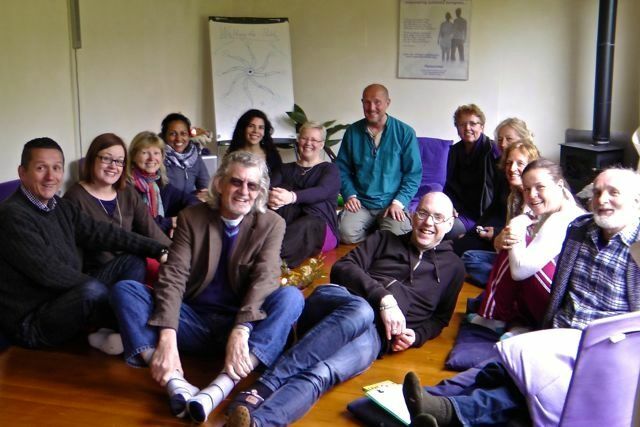 The nurturing support of the Openhand community is, indeed, an invaluable support and is such a salve and comfort as we let go of our distortions. These past few years I have felt the pain of people gradually falling away from my life as I've continued to raise my vibration and express a higher way of being. It has been heartbreaking for me to say goodbye and still is. I cried during a scene in the film "Wild" when the main character, Cheryl Strayed, is pictured on a beach writing the name of her first love, Paul, in the sand. In the voiceover, she says she has written his name on every beech she has encountered over many years. And that she will write his name one last time, symbolizing her courage and readiness to let him go. We discover that she meets and marries a kindred soul a few years later who reflects her higher way of being. I thought to myself that in a way I have written the names of certain friends and family members in the sand one last time. I will always love them, and I'm grateful for what they taught me and for what parts of me they mirrored back. And on it goes. Letting go of my distortions is an going process since the rabbit hole is deep, indeed. Many of us are strongly conditioned in our families and in society to "want" to be popular and to be seen as such. The hyped-up beer commercials pitch to our fears so well about being lonely wallflowers as we are shown a gaggle of friends frolicking and laughing together. Apparently, drinking beer with hoards of friends is pure nirvana. Last summer I was invited to attend a luncheon with former work colleagues. As the day approached, I felt more and more anxious. Two days prior to the luncheon, I had a vivid dream in which I found myself back at the workplace with them. In the dream, I felt their reptilian energy to be absolutely soul-crushing, so I left to walk home. But I couldn't find my way. The street signs had changed. I was lost in an unfamiliar maze. I kept desperately trying to get back home to no avail. When I woke up, I decided to forego the luncheon. The dream was a powerful reminder to continue walking the path of my own authentic beingness at whatever the cost. And as I continue to do so, I will find my way back home to who I truly am. When I said yes to the luncheon, I felt a bit like Sally Fields during her Oscar acceptance speech for "Norma Rae" when she blurted out, "You like me. You really like me." I recall that her vulnerability was so touching at the time. In some way, I wanted to fill my "need" for social acceptance by re-establishing contact with a group of people who I couldn't relate to even when I worked with them. As certain people continue to fall away from my life, I have experienced a mix of conditioned emotions. I've heard myself saying, "You're a misfit, a weirdo, a crazy kind of Howard Hughes person who wanders in the desert alone." More distortions, of course, to let go of. The open hand way is not an easy path, that's for sure. It's so helpful to read Lesley's comments about this. Like Lesley, I find that the nurturing power of nature fortifies me during challenging times. It's an absolute treasure trove of inspiration and love. Thanks for sharing - yes, dysfunctional relationships can hurt - especially when they are supposed to be close ones. Let's also try to remember that it's not a person's fault they act according to a false self, full of their own dualities, self deceptions, fallibilities and blindspots. A lot of malicious behaviour is not born of intent - it simply happens as a distorted result of the reality filter a person has plugged into their psyche - until they've cleansed it that is. I also feel to clarify: when I speak of 'softening into the situation', what I'm referring to is to soften the reactionary tightness of the false self. But that in no way means our authentic response should be wishy-washy or weak; not at all! 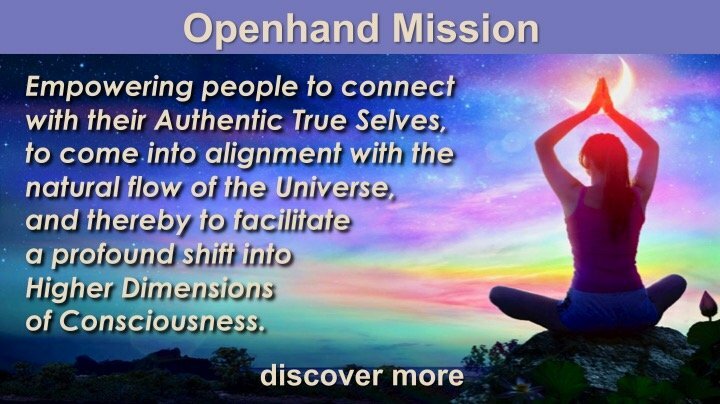 In fact on the work we do at Openhand, we're constantly striving to help people move beyond the repression of the ego/victim/false-self mentality. And we always looking for the true expression at the heart of any distortion. So take anger for example: anger is usually a distortion of the ray 1 warrior energy. So we wouldn't encourage people to dissolve the true expression - the ancient soul light - at the core of the distortion. That would be like throwing the baby out with the bath water. 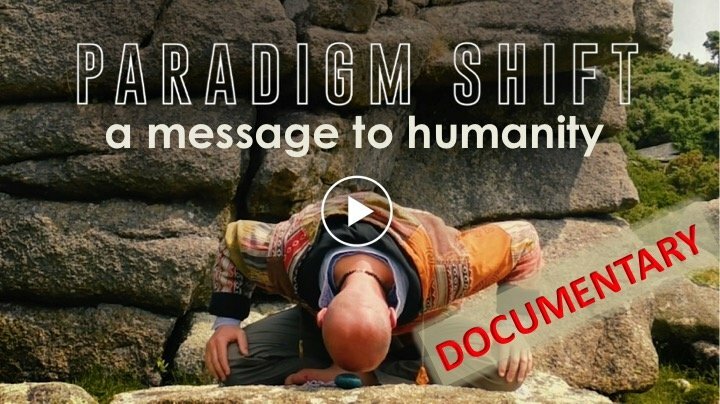 Instead, we would encourage people to soften into the immediate tightening reaction, open a space, then let authentic response flow out - in this case it might mean a quite strong confrontation, but crucially, without extra loaded energy - the anger. 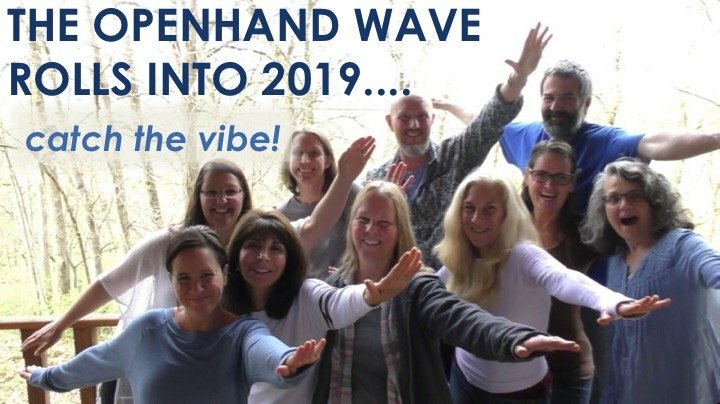 So just to clarify, in the Openhand Approach, it's not about suppressing or dissolving these powerful, emotive, source frequencies. I feel so much warmth, compassion and firey spirit from you - I just love to read what you write. It really speaks to me on a deep level. I actually saw the movie "Wild" last night! What an incredible journey! You know what really was poignant for me?! The boots! When she has to make duct tape shoes because her too small boots that had torn her feet to pieces finally took the first step and flung themselves over a cliff, I felt myself in that - Letting go of those boots that don't fit, but not quite in the new shoes...in transition =). It helps enormously to hear your journey - to hear the similarities of experience - never the exact same, yet familiar. Thank you so much for sharing so openly. Feeling the sticky duct tape on my toes! far and fast from home and the pain of disconnect from 'home' is so heart-wrenchingly absolute that nothing can matter unless it's taking me back home.